If you look through the chicken dishes in this blog you will find a number of recipes that include tarragon. 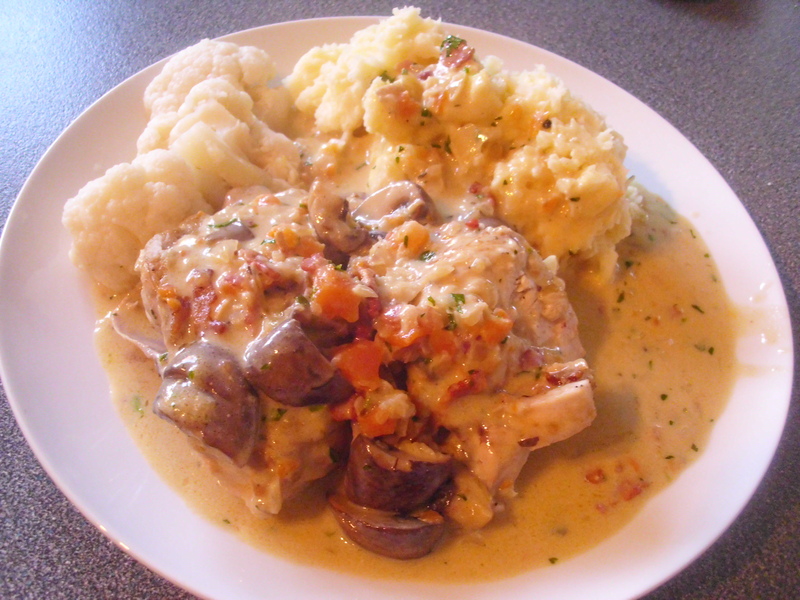 That is because chicken and tarragon are a match made in heaven. This dish is no exception and tastes absolutely delicious. I have used cider to make a sauce for pork before but I think this is the first time I have used it to make one for chicken. It really does give the dish a fantastic lift. Here are a few facts and trivia on tarragon. It is the leaves of the herb Artemisia dracunculus. The slender dark-green leaves have a pleasant anise-like flavor and aroma. Tarragon blends well with other spices. It is used in sauces, especially Bearnaise sauce and tarragon vinegar. In French cuisine it is an integral part of fines herbes and dijon mustard. Tarragon was used by the Greeks as early as 500 BC. Like the French, the Arabs named it “turkhum” which means dragon probably because they found the taste to be exceptionally strong or because of its serpentine shaped roots. Tarragon leaves are rich in iodine, mineral salts and vitamins A and C. In the past tarragon was used to prevent scurvy. It is also used as an appetite stimulant and digestive tonic by naturalists. Here is the recipe. I found it in a Good Food Magazine, the link to it on their website is below. I didn’t make the parsley croutons as I preferred to serve mine with mashed potato to soak up the wonderful sauce.